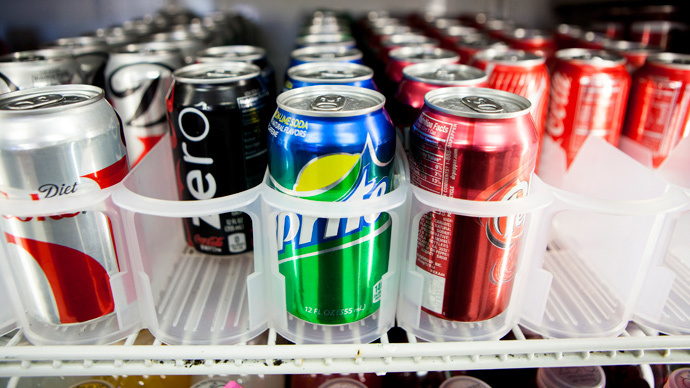 A 20 percent tax on sugary beverages should be introduced to subsidize the sale of fruit and vegetables and fight the obesity crisis in Britain, say UK doctors. One third of the British population is expected to be obese by 2030 due to lack of exercise and poor eating habits, while a quarter of the adult population is now said to be obese. Diabetes levels have doubled in the past two decades and rates of overweight children in Britain are among the highest in Europe. The Food For Thought report published by the British Medical Association (BMA) on Monday says the tax will reduce obesity levels by about 180,000 people in the UK. A tax on unhealthy beverages would be a “useful first step” to encourage people to buy more fruit and vegetables, the report suggests. Diet-related illnesses cause up to 70,000 deaths in Britain annually and have the biggest impact on the NHS’ budget, costing nearly £6 billion per year. “We know from experiences in other countries that taxation on unhealthy food and drinks can improve health outcomes, and the strongest evidence of effectiveness is for a tax on sugar-sweetened beverages,” she added. The majority of British people, particularly those from low-income households, are “not consuming enough fruits and vegetables,” she said. “Financial measures should be considered to subsidize their price, which has risen by 30% since 2008,” she added. “Where additional taxes have been introduced they’ve not proven effective at driving long-term, lasting change to diets,” he said. British food and drink companies are “cutting the salt, saturates and calories in their products, which are offered in a range of portion sizes,” he added. British Soft Drinks Association Director General Gavin Parrington argued that taxes on sugary drinks had not changed consumers’ diets in other countries that introduced the levy. “By contrast, the efforts of soft drinks companies including product reformulation, smaller pack sizes and increased promotion of low and no calorie drinks have led to a 7% reduction in calories from soft drinks in the past three years,” he said. The report also suggests that marketing is playing a huge part in Britain’s obesity crisis. The BMA is calling for a ban on the promotion of unhealthy food and drink products to young people. “Evidence from other countries show that this type of tax does not deliver long-term societal changes,” he added.